Our dental team is trained in a simple, quick screening that involves an examination of your oral cavity as a whole, and not just your teeth, to detect cancerous and precancerous conditions. Besides a visual examination of your mouth, we will also feel the tissue of your mouth and throat to detect any abnormalities. Trillium Dental makes your oral health, now and in the future, a top priority. We welcome new patients, patients seeking second opinions, or a new general dentist or cosmetic dentist. 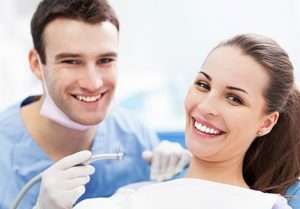 We have dental offices in Downtown Ottawa, Nepean, Kanata, Orleans, Stittsville and Carp.